The Brighton Old Town Local Action Team is in Regency Ward and covers the area bounded by North Street, West Street, Kings Road and Old Steine. This LAT is not currently active. 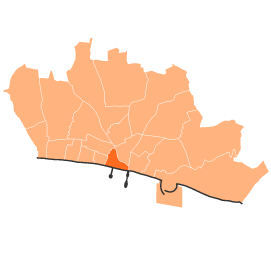 The CMPCA area of interest lies in the Regency ward (although some areas on its eastern boundary fall within St Peters & North Laine ward) The area is bounded by Seven Dials, Vernon Terrace / Montpelier Road / Norfolk Road, Western Road, and the west side of Dyke Road (to include Wykeham Terrace, Church St (Upper) and Crown Gardens), and is the community association for the Montpelier and Clifton Hill Conservation Area. The CMPCA meets around 6 times each year, and meetings are held in the St Mary Magdalen Community Hall in Upper North Street. The Alliance has the broad aim to promote the benefit of the inhabitants within its area and as such touches on a range of issues. Meetings are open to all (whether residents or not) and are attended by Sussex Police, ward councillors, council officers, local residents and businesses. The local Regency Police team hold a police surgery before each community meeting.